Chin proportionality can be a significant factor in bringing together one's facial appearance. Whether you feel that your chin appearance is too small, too large, or simply not the right shape, a chin augmentation can solve that issue of imbalance by providing you with a chin that is properly defined and in accordance with the look that you are going for. Due to the nature of the surgeries, we have found that a chin augmentation can be an excellent add-on procedure with an adjustment such as a facelift or rhinoplasty. Considering that each of those also seek a better sense of balance and proportionality, it can be an excellent idea to do a chin adjustment at the same time. 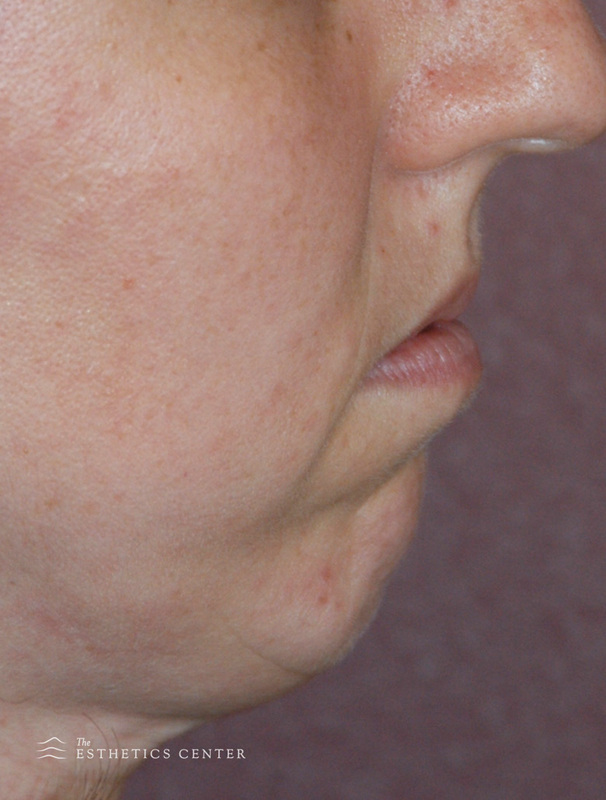 WHO IS A CHIN AUGMENTATION CANDIDATE? 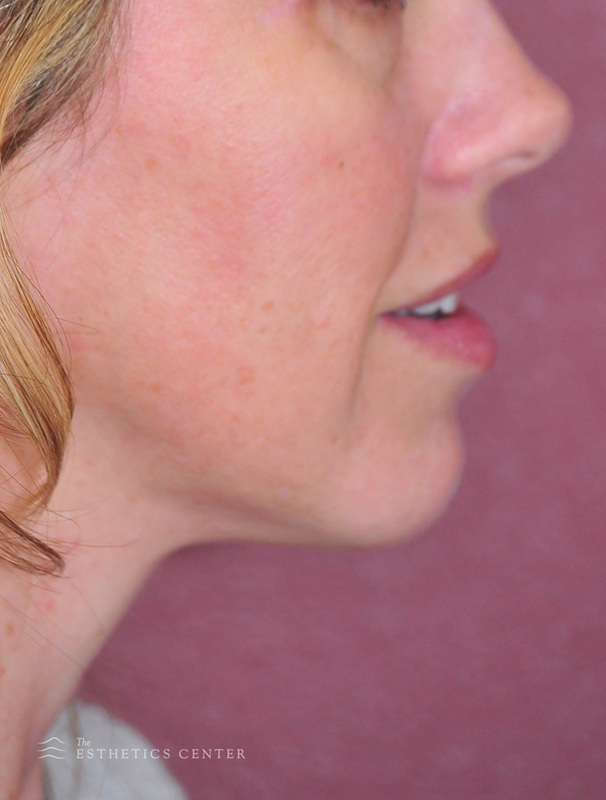 WHAT DOES THE CHIN AUGMENTATION PROCEDURE ENTAIL? The type of implant that we use varies depending on each patient’s needs and preferences. Most often Dr. Rice prefers, and recommends, a chin implant made of porous polyethylene. Porous polyethylene implants are made of a honeycomb-like matrix that allows your own tissues to grow into the implant, leaving you with a smaller amount of implant material, which is less invasive and easier on the body. They are also firm and bone-like, which makes them feel more natural when in place, but the material is still able to be shaved and contoured at the time of surgery to provide the most natural and appropriate shape. Other terrific options include solid silicone and GoreTex®, and both of these materials also have a long history of successful implantation. Despite the material that is determined best for you, it is certain that the implant will be properly fitted and shaped for the best possible results. To place the implant, we will make our approach from underneath the chin. An approach from inside the lower lip can be done as well, however there is a slightly higher chance of infection and numbness as a result of nerve damage. Under the chin, a small pocket is then formed directly on the bone, and we often use temporary sizers to facilitate the selection of the best implant size and shape. At this point, if you have chosen the porous polyethylene, the implant will be customized and contoured to your chin so as to ensure that your appearance is exactly as you want. The implant can be precisely modified during the procedure, then reinserted until it meets the precise needs of the individual patient; in some cases, we may choose to do some light liposuction to help with shaping. Once we are happy with the way the new chin and jawline looks, the implant is secured with sutures, the incision is closed with absorbable sutures, and a supportive dressing is placed. After your chin augmentation is completed, we will support the chin with surgical tape and a face garment to help protect, secure, and support the new contour. Typically chin support tape is left in place for the first several days. If a facial garment is used, it should be kept in place every day and night for three weeks after surgery. For the first seven to ten days after surgery, you can expect some bruising, swelling, and discomfort. Usually, the chin will be sore and sensitive to the touch, but pain medication can be given to help alleviate any pain after surgery. Speaking, chewing, and yawning may be uncomfortable for a few weeks, and we advise a soft food diet for the first week or so after surgery. In addition, if an intraoral approach was used, an antibacterial rinse is to be done after each meal. Typically, patients can return to work within seven to ten days of their chin surgery, although chin swelling will still be significantly present. We recommend taking four weeks off of heavy physical activity, and waiting at least six weeks before resuming any contact sports or weight lifting. You can expect the majority of swelling to subside after three weeks, but the final portion of swelling typically dissipates over the next three months or so after chin surgery. 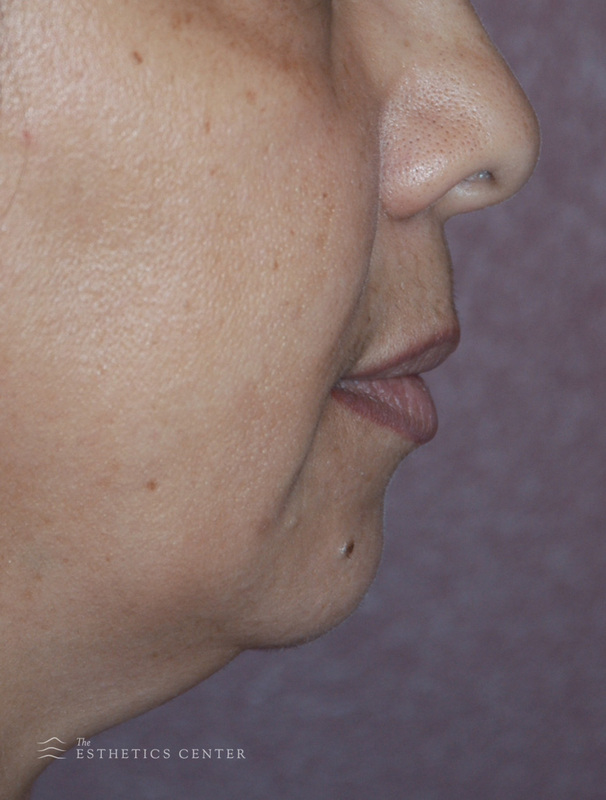 A chin augmentation can be a very satisfying procedure for patients, as the results are both dramatic and permanent, and the procedure often leaves patients with the difference that they wanted. The nature of the surgery can cause prolonged swelling and a lengthy recovery, but we are quick to encourage our clients to remain patient because the results will be worth it.